I don’t know about you, but in our house it’s all about the side dishes and the desserts during the holidays. Of course, we make a turkey and sometimes enjoy Honey Baked Ham too, but the foods we look forward to all year are always the accompaniments. 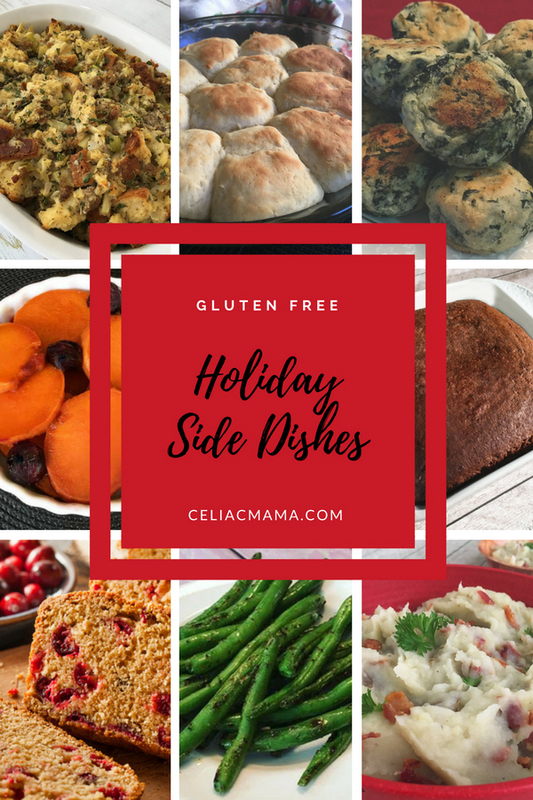 Here are some of our favorite gluten free holiday side dishes in case you are looking for inspiration or want to make some of these with your family. All of the side dishes below are family friendly, and that includes toddlers and kids. 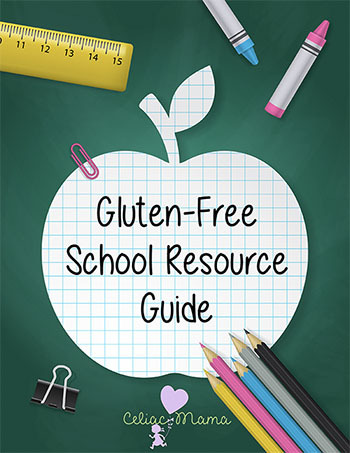 The recipes are all gluten free and dairy free, and many of them are naturally free from egg, nuts, and soy too. They contain whole food ingredients and are healthier than many holiday recipes out there, so you can feel great about having seconds…or thirds 🙂 . 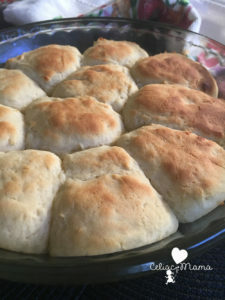 Grandma’s Gluten Free Rolls – We serve this all day long at the holidays as it’s such a treat! The recipe is full of amazing flavors that remind me of my grandmother’s rolls as a child. The recipe is gluten free, dairy free, nut free and soy free, but does contain egg. Cranberry Orange Bread – Some might consider this a dessert or snack, but we always serve it along with dinner. It’s a Christmas classic in many homes and it was really important to us to convert the recipe into something safe for our family. This recipe is gluten free, dairy free, nut free, and soy free but does contain egg. 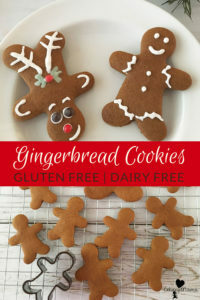 Gingerbread – This is another recipe that we serve alongside with dinner, but it can also be served as breakfast or a snack. The recipe is gluten free, dairy free, nut free and soy free but does contain egg. 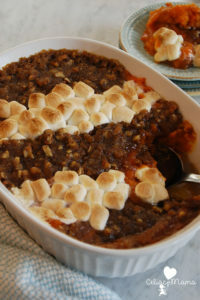 Sweet Potato Casserole – This classic holiday recipe is based on an original recipe that my grandmother made growing up. It pleases everyone since it has a rotating marshmallow and pecan crumble crust. You’ll be going up for seconds and maybe even thirds. The recipe is gluten free, dairy free, peanut free, and soy free. The topping contains tree nuts, but if you replace it all with marshmallow topping it can be tree nut free as well. Candied Yams – This healthy twist on candied yams may not contain butter, but it’s full of flavor and the blueberries are a nice complement. 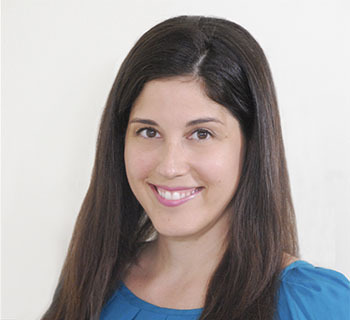 This recipe is gluten free, dairy free, and free from the top 8 allergens. Bacon Mashed Potatoes – Bacon really does make everything taste better, doesn’t it? Mashed potatoes is great no matter the age, as toddlers can eat it all the way through seniors without any difficulty. Adding bacon gives it an extra kick that we like, but if you prefer to skip the bacon you’ll still love the mashed potatoes. 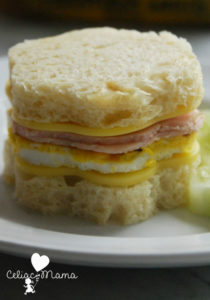 This recipe is gluten free, dairy free and free of the top 8 allergens. Apple Sausage Stuffing – Stuffing that’s gluten free? Yes! And doesn’t sacrifice any of the flavor. This recipe is gluten free, dairy free, nut free and soy free but does contain eggs. Southern Cornbread Stuffing – Growing up in the South, our stuffing always had cornbread in it and we loved it. This recipe is totally delicious for any time of year, but we do love it at the holidays especially. The recipe is gluten free, dairy free, soy free, nut free and has a vegetarian option if you substitute vegetable broth for the chicken broth. Fruit Filled Acorn Squash – Acorn squash is so popular during the Fall and the holidays and it’s no wonder why! It’s totally delicious and I love how healthy this side dish is. 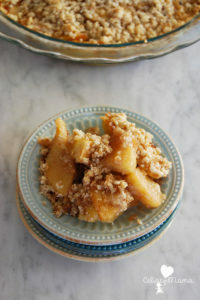 This recipe is gluten free, dairy free, and free of all top 8 most common allergens. Spinach Potato Bites – These make a delicious and healthy side dish or appetizer that kids and adults will love. 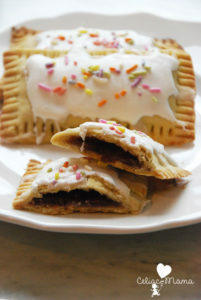 They contain 6 ingredients and are free of gluten, dairy, nuts, egg, and soy. Sauteed Green Beans – Most American households serve green beans at the holiday. This is a twist in that they’re sauteed rather than boiled, which we find brings out the flavor. Best part is they’re done in 10 minutes…really! Cucumber Salad – I haven’t posted this recipe yet, but the ingredients are quite simple. Slice 1/4 of a red onion and place it a bowl. Add 1/2 cup white distilled vinegar (make sure it’s gluten free) and let it stand for 45 minutes. 10 minutes before serving add 2 large peeled and sliced cucumbers to the bowl. It’s quite tart, but it’s my sister’s favorite and all the cucumber fans out there will really like this. So there you have it, our favorite gluten free holiday side dishes. Happy Holidays to you and your family!